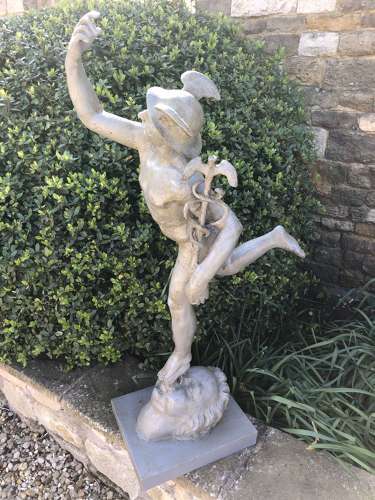 A cast iron statue of the greek mythology god Hermes Also known as Mercury the winged messenger. 110 cm tall . These are rare to find in cast iron, perfect condition.